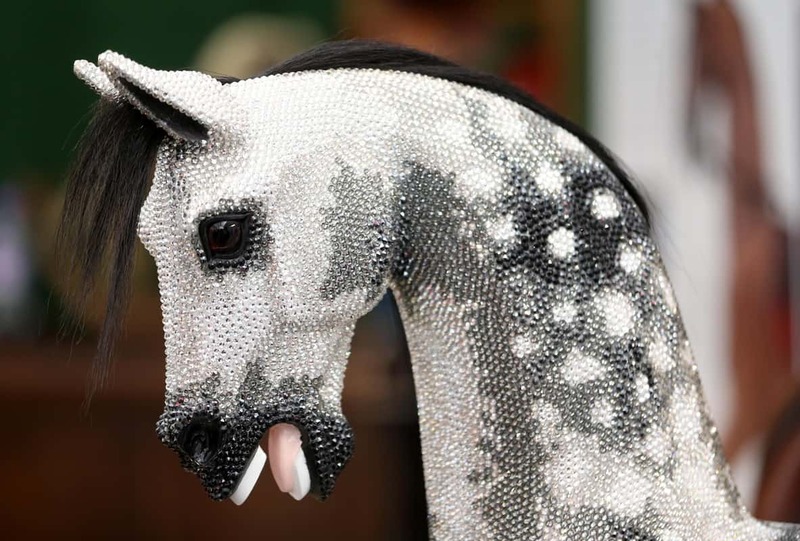 This Swarovski crystal-studded rocking horse was a bit of a show-stopper at The Spirit of Christmas Fair in London. Can you imagine some lucky little girl getting this for Christmas? I actually can’t. I feel it is so pretty that it should not be touched by a grubby little toddler. 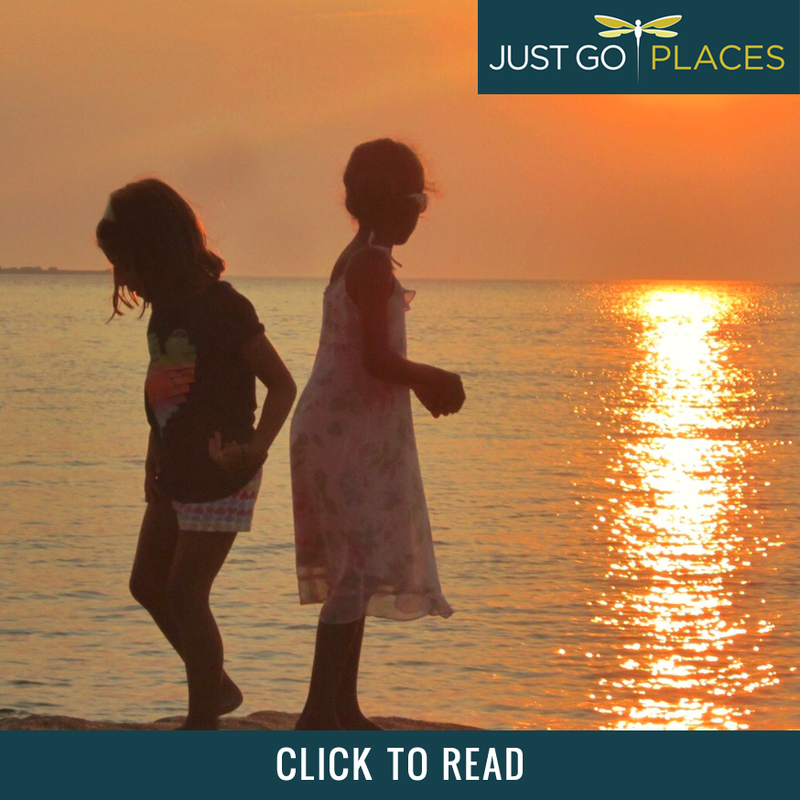 Even a rich grubby little toddler who is probably followed around by her own retinue to keep her looking immaculate at all times. The Stevenson Brothers Rocking Horses created this Swarovski Crystal encrusted rocking horse. The crystal-studded rocking horse is called Crystal (appropriately enough). She was created with over 80,000 crystals that sparkle as she moves. Pretty magical! In any event, Crystal has not been ridden yet – that privilege is being reserved for whoever buys Crystal. This beauty costs £98,000 and, so yeah, her first ride should be reserved for her owner! 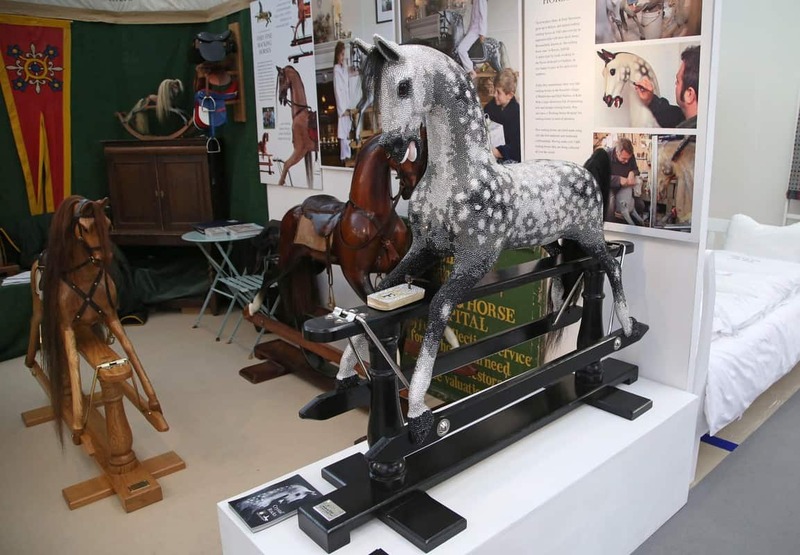 The Stevenson Brothers from Kent in England created this sparkly rocking horse. They have been hand-crafting rocking horses (and unicorns) for the last three decades. They also sell restored vintage rocking horses and can also repair rocking horses if you happen to have a family heirloom hanging about in your attic. Rocking horses have been popular with children since the 17th century. It took the Victorians though to really skyrocket their popularity. Queen Victoria was a huge fan of rocking horses and her subjects followed her enthusiasm. Victorian ingenuity also made rocking horses safer because they created hollow horses which rocked without the tendency to topple over. With the decline in popularity of traditional wooden toys, there aren’t that many rocking horse makers left anymore. 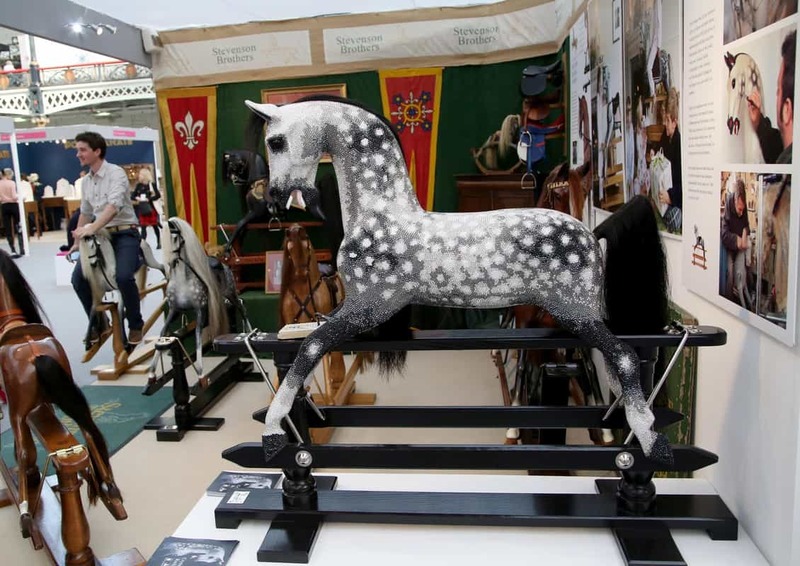 You can design your own rocking horse from £1700. Rocking unicorns are more expensive (and rarer!) so they start at £3100. Compared to the £98,000 price tag for Crystal, a non-clingy rocking horse does seem a relative bargain for a family heirloom. Check out your options on the Stevenson Brothers website.